Alabama running back Josh Jacobs has denied he has made a decision regarding his football future. The junior led the team with 11 rushing touchdowns this season, ranking second on the squad with 640 rushing yards. He also added 247 receiving yards and 20 catches with three touchdowns through the air. 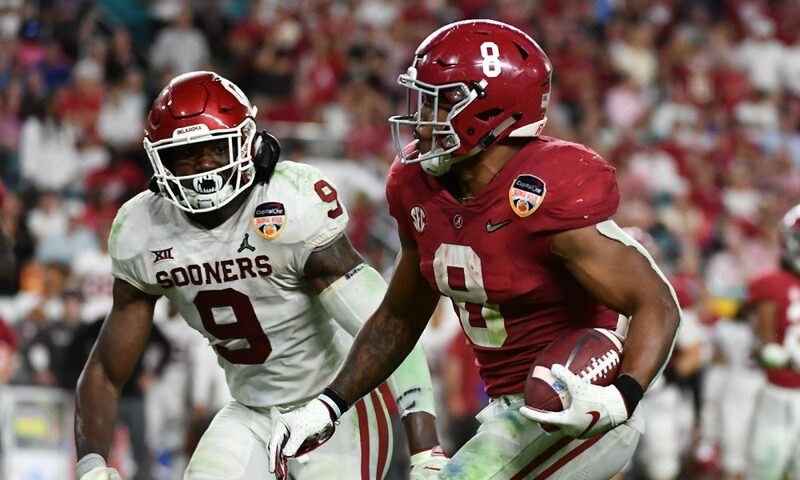 Originally a three-star recruit out of high school, the Oklahoma native had a difficult time getting on the field in his first two seasons with the Crimson Tide behind Damien Harris and Bo Scarbrough. Jacobs only saw 131 rushing attempts in his first two seasons but earned a bigger role in 2018 and totaled 120 carries this year alone. He became a go-to option in short-yardage situations while also handling kick returns, where he averaged 31.4 yards per return. The 5'10", 216-pound runner has shown he can help in a variety of situations and should continue to play at a high level when he reaches the NFL. On the other hand, Alabama will have to potentially replace both Harris and Jacobs next season, which could put a lot of pressure on Najee Harris if he returns in 2019.